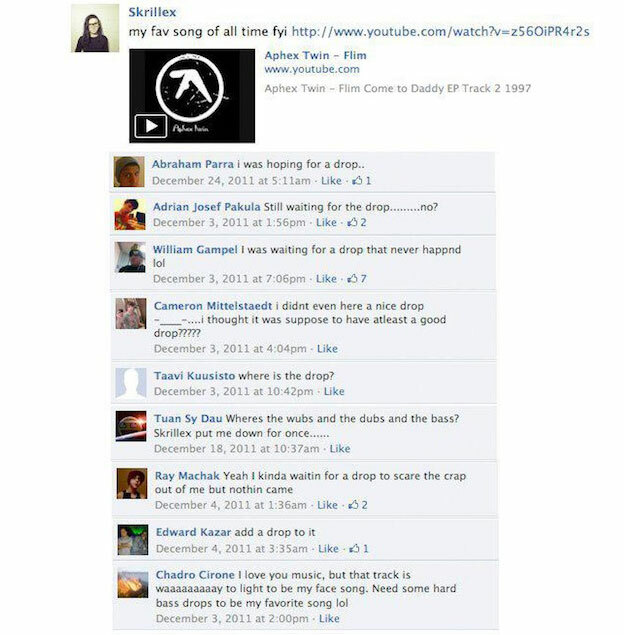 Yeah, dubstep has gone way of the doodoo bird like jungle did. Joker and Zomby signed to 4AD; the last Skream LP and Magnetic Man just feel empty. I still have a softspot for Benga, Horsepower, and RSD though. Peaked in 2006, I'm afraid and just went downhill from there. 2 Unlimited! Smart E's! LA Style! (I dance to them all but that was back in the early 90s when DJs spun this stuff alongside the good stuff). All genres are not safe from being aped to death. But people will always cry "___ ____ is not dead!" Instead of crying about it, I just make your own music (and still have a softspot for cheese). Soooooo.. What I have noticed, while perusing the ever-popular cloud of new sounds, is that.. UK 'Ardcore is making a comeback. Anyone else notice this? 90's jungletekno ? or Hellfish & Dj Producer style ? sauce wrote: Soooooo.. What I have noticed, while perusing the ever-popular cloud of new sounds, is that.. UK 'Ardcore is making a comeback. Anyone else notice this? Back to dubstep jumping the shark...McDonald's has a tv ad with a dubstep version of their 'i'm lovin' it' theme. Point made, I just won right there. hseiken wrote: Back to dubstep jumping the shark...McDonald's has a tv ad with a dubstep version of their 'i'm lovin' it' theme. I see what you mean, but.. I haven't owned a TV in almost 14 years. I have nevere seen this McDonald's commercial, or any commercials for a very long time. What's more, I can't remember the last time I was even in the same room or car with the radio playing. I have *permanently* removed myself from the opportunity to ruin the music I enjoy with popular bombardment. God bless the interwebs! I like my dubstep with Dub bass in it (hence Horsepower, RSD being high on my list). Just my preference. I have "Where Were You 92" (actually I was raving) and the EPs on Hyperdub and played his 12s in sets. The album after that just felt empty (the grave one). This is from a guy that flew from Detroit to Toronto just to see Skream and Benga play. Speaking of Jungle, A Guy Called Gerald just released demos of Black Secret Technology and you can stream it. Good stuff. It's the internet's fault I think, where a popular trend suddenly becomes the next big thing, then becomes . In all, it could be a good thing for true dubstep fans as the heart of the genre stays underground. But it's a shame to see "dubstep" printed on a mix that clearly is (by the wikipedia definition) "brostep". Or better yet, a "dubstep jingle"